Zambia will have the unusual image of a white president following the death of the incumbent Michael Sata. LUSAKA – Zambian President Michael Sata, once dubbed “Mr. 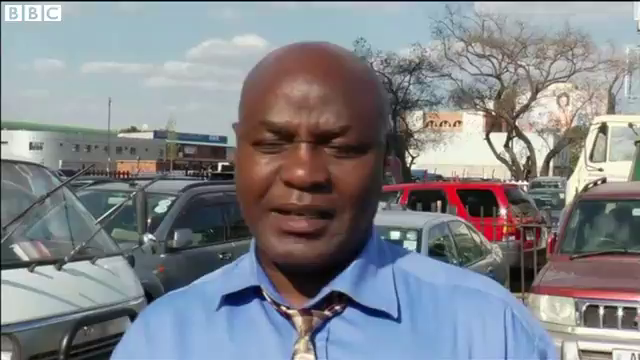 King Cobra” for his sharp-tongued remarks, died in a London hospital (on Tuesday, Oct. 28) after a long illness, the Zambian government said Wednesday. 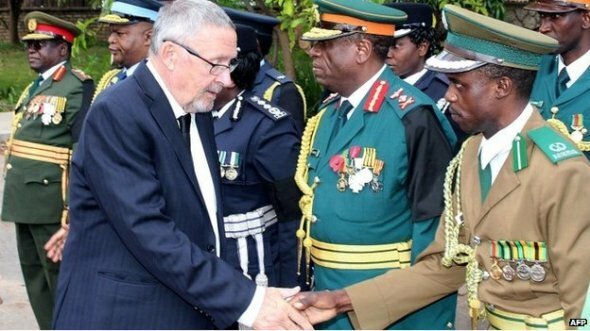 Vice President Guy Scott, a white Zambian of Scottish descent, was appointed acting president of the southern African nation (on Oct. 29) until elections are held within 90 days. Burkina Faso’s interim President Isaac Zida said on Monday that the army would quickly cede power to a transitional government headed by a consensual leader, in a bid to calm accusations that it had seized power in a military coup. 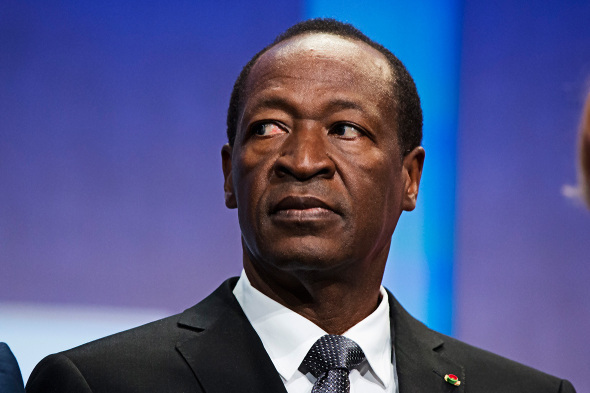 The country’s longtime president Blaise Compaore stepped down on Friday after two days of mass protests over his bid to extend his rule through a constitutional amendment. Compaore was only 36 when he seized power in a 1987 coup in which his former friend and one of Africa’s most loved leaders, Thomas Sankara, was ousted and assassinated. The 63-year-old has remained in power since then, re-elected president four times since 1991 – to two seven-year and two five-year terms. The third largest party in parliament said at the weekend it would back the amendment, setting the ruling party on course to obtain the two-thirds majority it needs to make the change without resorting to a referendum as first promised. Protesters have erected barricades and burned tires in the capital since the proposal was announced on October 21. 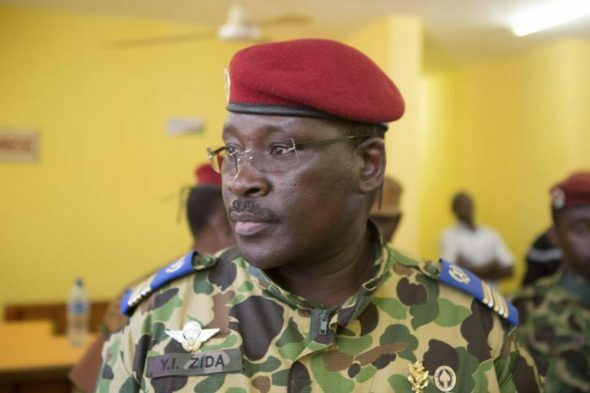 On Saturday, the military appointed Lieutenant Colonel Zida as interim head of state in a move criticized by opposition politicians, the African Union and Western powers seeking a return to civilian rule. Lt. Col. Isaac Yacouba Zida was named the transitional leader of Burkina Faso. “Our understanding is that the executive powers will be led by a transitional body but within a constitutional framework that we will watch over carefully,” Zida told a gathering of diplomats and journalists in the capital Ouagadougou, without giving a timeframe for the changeover. “We are not here to usurp power and to sit in place and run the country but to help the country come out of this situation,” he added. An army spokesman speaking to anti-government protesters on Thursday. 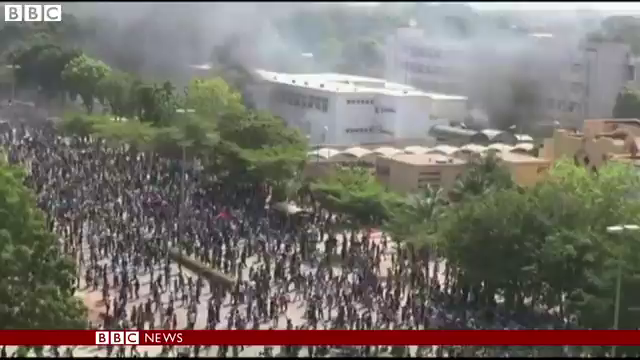 The announcement followed crisis meetings late on Sunday between Zida and opposition leaders after thousands gathered to denounce his appointment in the central Place de la Nation — the scene of violent protests last week in which the parliament was set alight. Under the West African country’s constitution, the head of the National Assembly should take office if the president resigns, with a mandate to organize elections within 90 days. However, the head of the National Assembly has reportedly to have fled the country, along with other senior members of Compaore’s regime. Compaore himself arrived in neighboring Ivory Coast on Saturday, the government there said in a statement. Ebola has wiped out whole villages in Sierra Leone and may have caused many more deaths than the nearly 5,000 official global toll, a senior coordinator of the medical aid group MSF (Médecins Sans Frontières, or Doctors Without Borders) said Friday. Rony Zachariah of Doctors Without Borders, known by its French initials MSF, said after visiting Sierra Leone that the Ebola figures were “under-reported,” in an interview with AFP on the sidelines of a medical conference in Barcelona. 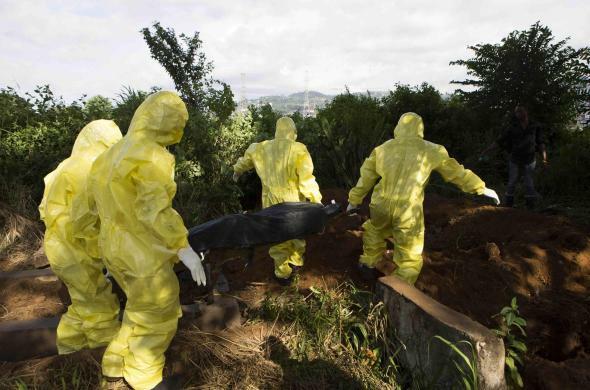 Burial team prepares body of Ebola virus victim in Freetown, Sierra Leone. “The situation is catastrophic. There are several villages and communities that have been basically wiped out. In one of the villages I went to, there were 40 inhabitants and 39 died,” he said. “The WHO says there is a correction factor of 2.5, so maybe it is 2.5 times higher and maybe that is not far from the truth. It could be 10,000, 15,000 or 20,000,” said Zachariah. b) Why won’t Mr. Scott run for the office of President? c) What do you think about the Zambian constitution’s “parentage clause,” which requires the president to be a “third generation” Zambian? 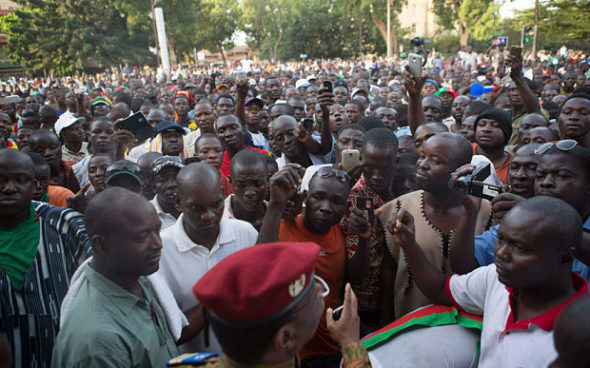 b) Under Burkina Faso’s constitution, the head of the National Assembly should take office if the president resigns. Why hasn’t that happened in this case? b) What is the biggest problem faced by MSF and others caring for Ebola victims in Sierra Leone? As an opposition leader, Sata lost three presidential votes, before winning to become Zambia’s fifth president in 2011. He also served in previous governments, and was a member of every major party. Guy Scott a white 70-year-old ex-farmer and economist, has become Zambia’s acting president, ending speculation that his heritage would stop him being acting leader in the southern African state, where white people make up less than 40,000 of Zambia’s 14 million-strong population. Ebola cases are continuing to rise “frighteningly quickly” in areas of Sierra Leone, an international campaign group has said. The Africa Governance Initiative (AGI) found that in rural parts of the country the virus is spreading nine times faster than two months ago. In Liberia, however, the rate of new cases appears to have slowed. AGI’s findings come after World Health Organization officials told the BBC the number of new cases is leveling off. Though Sierra Leone’s rural areas have been worst hit, the group says the spread of Ebola is also increasing in the capital Freetown – which is recording six times more cases per day compared to two months ago. The virus has only started to slow in one region of Sierra Leone, Bombali in the country’s north. AGI – an organisation set up by former UK Prime Minister Tony Blair that operates in the affected countries – says it is not sure why cases are slowing in Liberia. But the group says burial management has “improved significantly” in both Liberia and Sierra Leone. Half of all Ebola infections are thought to come from the bodies of victims. AGI Chief Executive Nick Thompson said: “The picture is certainly changing but that’s all we can say for sure at the moment.